JBL Krill Flakes 250ml. 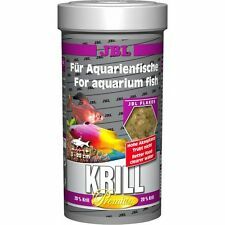 Nutritious and easy to digest by fine grinding in the krill shrimp: Ideal feeding conditions due to various flake sizes for fish species sized from 3 to 20 cm in middle and upper water layer. The new JBL external filter CristalProfi e1902 greenline is characterized especially by its new pre-filter system. The prefilter area was increased by 100% compared to previous models. Instead of only the outer sides in the upper basket, the newly designed pre-filter basket has the entire surface of the filter basket available. Size: 250ml. Does not cloud the water. Size: 250ml. Complete nutrition, ideal growth and vibrant colours for tropical freshwater fish: selected raw nutrients promote the colouring. JBL NovoPleco XL. Content 5500 ml / 2750 g. With 10% wood fiber, many plecos they need for digestion. Wasserart Süßwasser. Maßeinheit L. EAN 4014162303417. JBL NovoBel. For years, JBL supports the largest international organization of protection for sharks "Shark Project". Other good reasons to use JBL fish feed Choose the size of the box (100 ml, 250 ml, 1 l, 5.5 l, 10.5 l) after the above specified monthly consumption and the number of fish in the Aquarium. JBL Novo Bel Flakes. 50 raw ingredients in 7 different flakes. With natural vitamin E as antioxidants and stabilized vitamin C. Easy digestible and nutritious due to ultra-fine grinding of the raw ingredients. Contents: NovoBaby, rearing diet set for aquarium fish. JBL Novo Baby. JBL NovoMalawi. Other good reasons to use JBL fish feed For years, JBL supports the largest international organization of protection for sharks "Shark Project". Complete nutrition and optimal growth of algae-eating cichlids from Lake Tanganyika and Malawi-. JBL NovoColor. For years, JBL supports the largest international organization of protection for sharks "Shark Project". 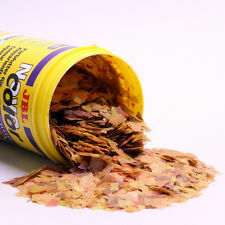 Other good reasons to use JBL fish feed Flake main food for colorful aquarium fish. 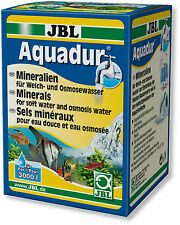 External filter for clean and healthy aquarium water: closed water circuit for aquariums with 60 - 200 litres (60 - 100 cm). High/biological filter perform. Nutritious and easily to digest: ideal feeding conditions for 1 – 3 goldfish. The block dissolves when the fish feed. JBL NovoFect. Food tablets for herbivorous fishes. For years, JBL supports the largest international organization of protection for sharks "Shark Project". Other good reasons to use JBL fish feed Nutritious and easy to digest: Ideal nutritional conditions for fish from 3 to 20 cm size of all layers of the water. JBL NovoTab. For years, JBL supports the largest international organization of protection for sharks "Shark Project". 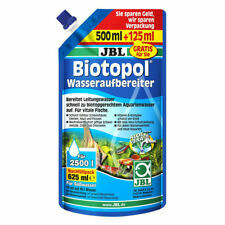 Other good reasons to use JBL fish feed Choose the size of the box (100 ml, 250 ml, 1 l, 5.5 l, 10.5 l) after the above specified monthly consumption and the number of fish in the Aquarium. For years, JBL supports the largest international organization of protection for sharks "Shark Project". 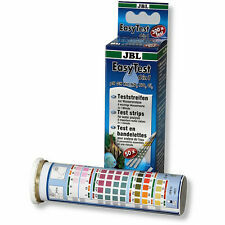 Other good reasons to use JBL fish feed Granulated main food for colorful aquarium fish. Shelf life after opening 4 months. The zooplankton (animal plankton) for JBL PlanktonPur we sustainably caught with a special fishing method in the cold, unloaded, arctic waters of Norway. JBL Weekend. Weekend fish food for tropical freshwater fish. JBL NovoGranoColor. Other good reasons to use JBL fish feed For years, JBL supports the largest international organization of protection for sharks "Shark Project". Complete nutrition, optimal growth and full brilliance of colours of tropical freshwater fish: Selected resources promote the colours. Each fish gasping in his natural habitat for over floating plankton. This can be fed fresh plankton on aquarium fish. Natural lining made of 100% plankton. Varied: Treat for tropical freshwater and saltwater fish and shrimp. JBL NovoRed. Complete nutrition and optimal growth of Goldfish: High content of unsaturated fatty acids by wheat germ. Main feed-flakes for goldfish. Other good reasons to use JBL fish feed For years, JBL supports the largest international organization of protection for sharks "Shark Project". JBL NovoBel Refill. Other good reasons to use JBL fish feed For years, JBL supports the largest international organization of protection for sharks "Shark Project". Then also an is easily possible. Other good reasons to use JBL fish feed For years, JBL supports the largest international organization of protection for sharks "Shark Project". Maßeinheit 100 ml. 1-2 x daily as much feed as is gobbled up in a few minutes. Selected raw materials for the needs of all goldfish variants. Nutritious and easy to digest: Ideal nutritional conditions by declining feed beads for fish species of min. 8 cm size of all layers of water. Premiumfuttertabletten for fresh - and saltwater fish. For years, JBL supports the largest international organization of protection for sharks "Shark Project". Other good reasons to use JBL fish feed. JBL NovoMalawi. Main food for algae-eating cichlids. Complete nutrition and optimal growth of algae-eating cichlids from Lake Tanganyika and Malawi-. Other good reasons to use JBL fish feed For years, JBL supports the largest international organization of protection for sharks "Shark Project". Nutritious and easy to digest: Ideal nutritional conditions for 1 - 3 goldfish. The block dissolve by feed intake of fish. For years, JBL supports the largest international organization of protection for sharks "Shark Project".